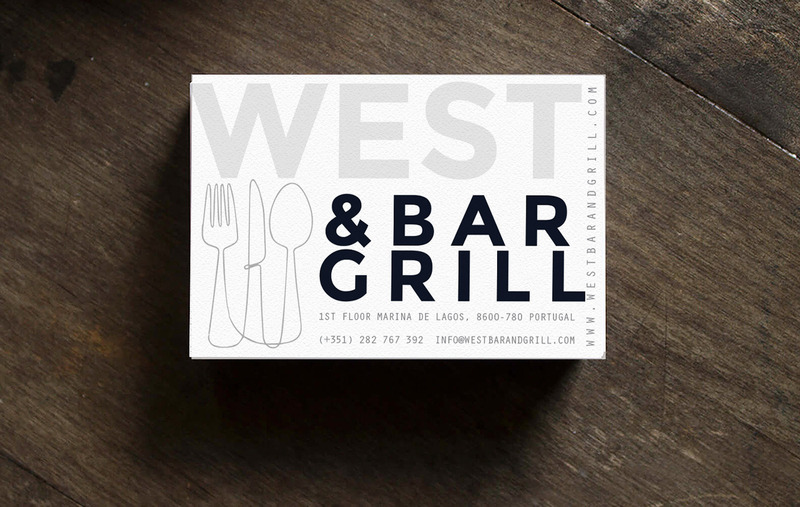 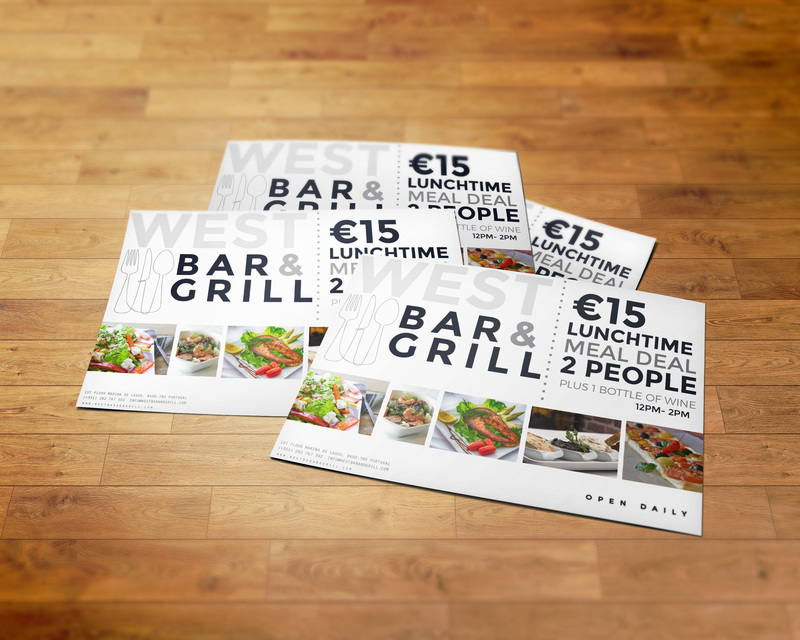 West Bar and Grill is a newly renovated bistro style restaurant. 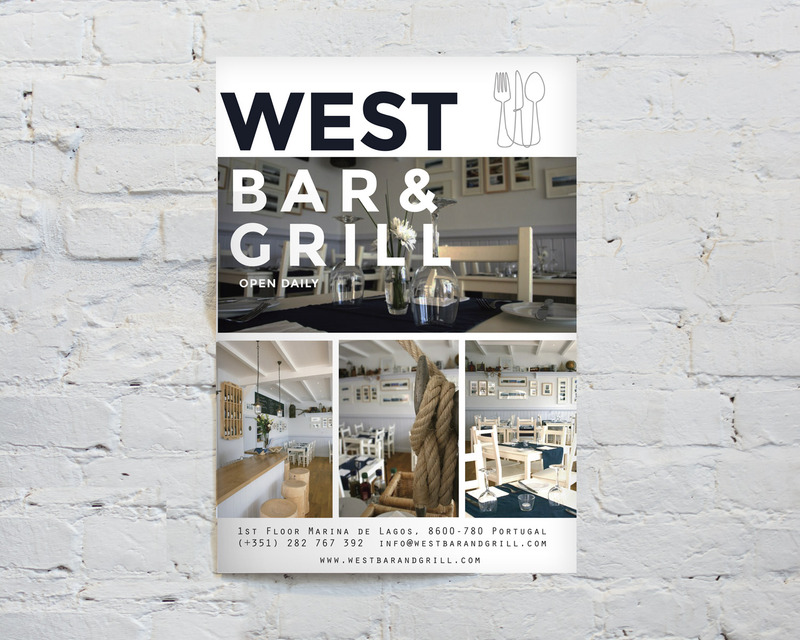 West wanted a simplistic style for their branding, something that was clean and modern, mainly white, grey’s and dark navy blues was their colour palette. 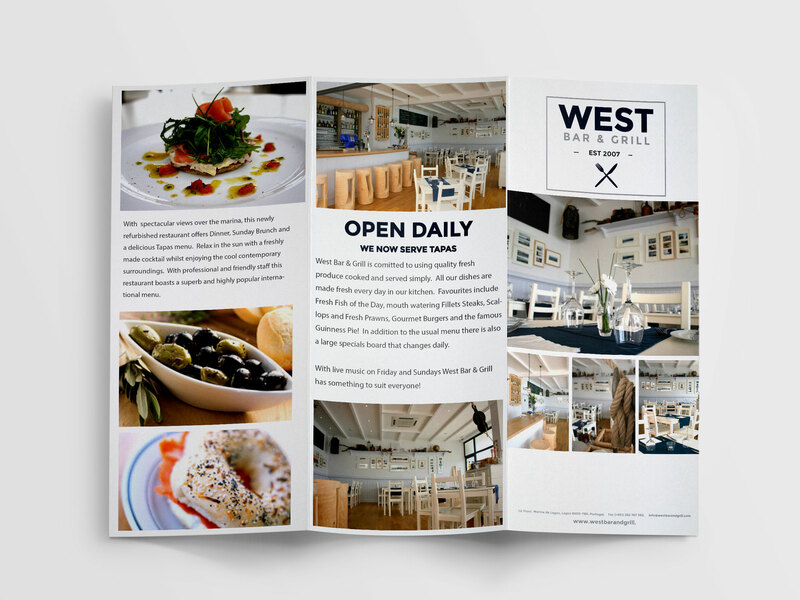 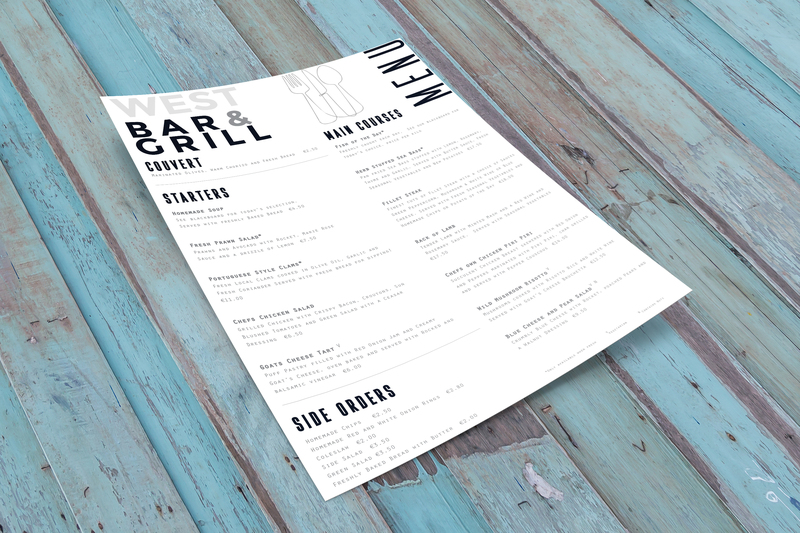 The restaurant was situated in a marina so they also used nautical theme throughout, this was a lovely project to work on.